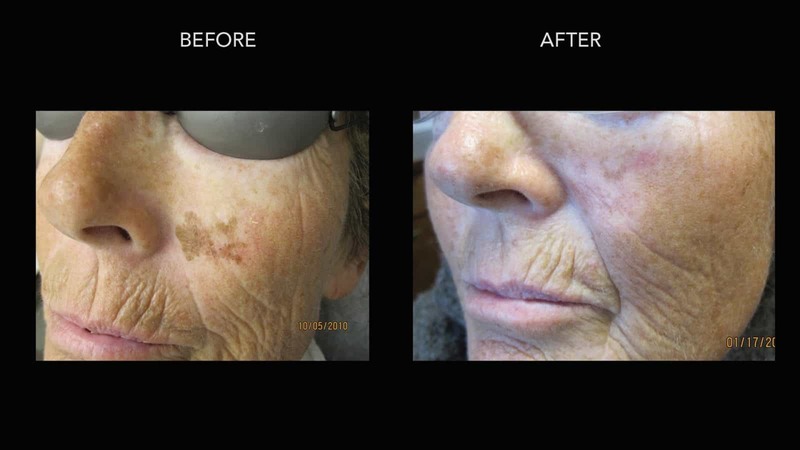 Laser treatment for brown pigmentation on the face caused by many years of sun exposure. 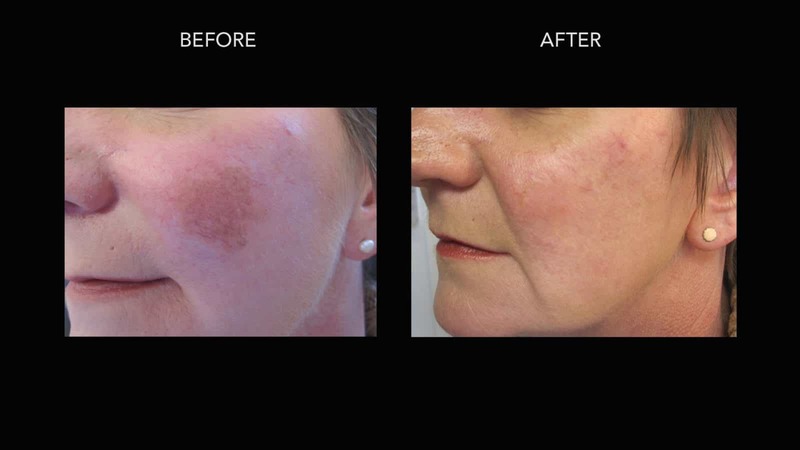 Another nice result of laser treatment for brown sun spots on the cheek. 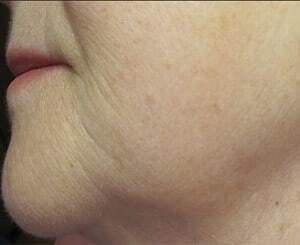 This 70 year old patient had a slow-growing brown spot on her left cheek that was concerning to her and her physician. We saw this patient and investigated for a malignancy through the use of dermoscopy and biopsy of the lesion. 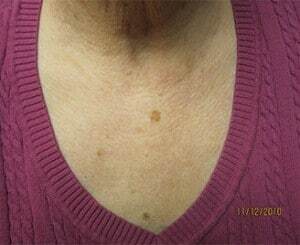 Our results showed no current evidence of malignancy so we proceeded with removal of the pigmentation. 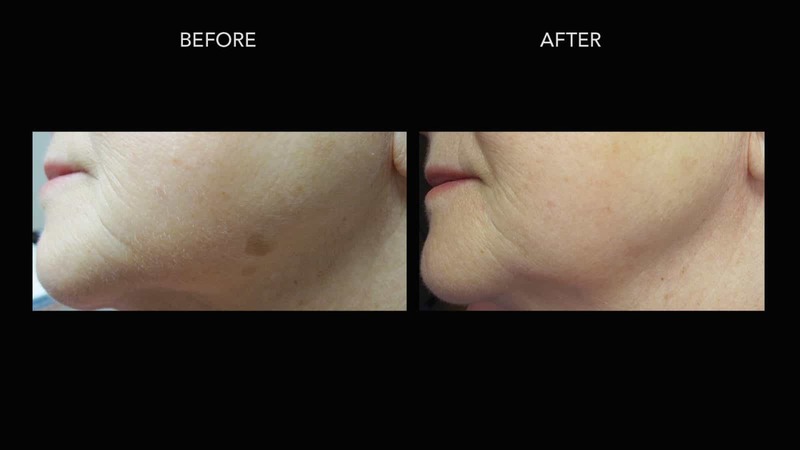 We accomplished dramatic improvements using a combination of our CO2 laser and our pigment specific lasers. This type of lesion needs to be followed up regularly to make sure there are no changes towards malignancy in the future. 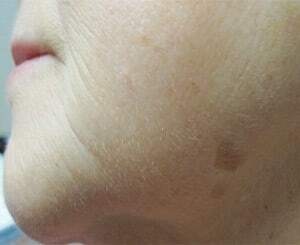 This 54 year old female patient had lived with this brown patch on her left cheek for many years. 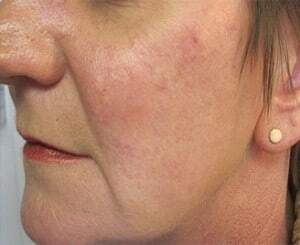 She had tried numerous over the counter creams and ointments with no success whatsoever. She was also concerned if the lesion was possibly cancerous. 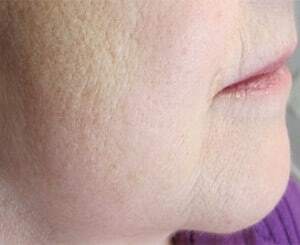 Dr. Crippen ruled-out the possibility of a malignancy and then we proceeded to treat the lesion to remove as much of the pigmentation as possible. 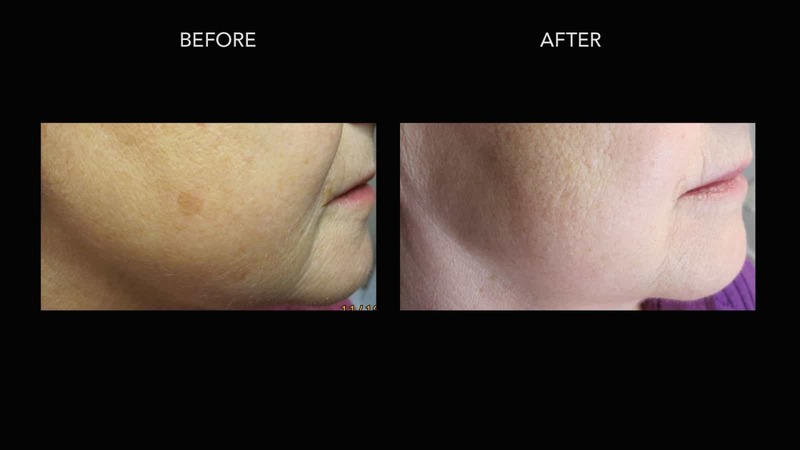 It is not always possible to remove all pigmentation but in most cases we can make a very dramatic reduction in the amount of pigment visible to the naked eye which will give a very nice cosmetic result. 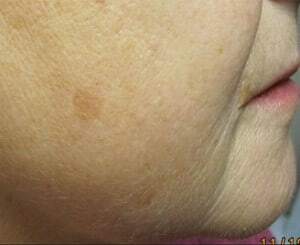 This 65 year old female patient was concerned about a brown spot on her right cheek and that it might be cancerous. Ruling out that possibility, Dr. Crippen uses a dermatoscope to get a better visualization of the lesion which can indicate more serious signs of malignancy. 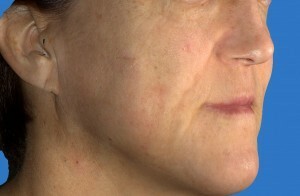 This lesion was treated with one of our pigment-specific lasers with complete resolution a few weeks later. 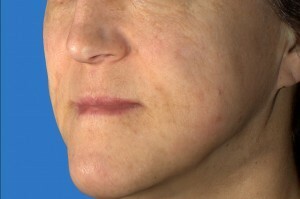 This was a 62 year old female patient with a multiple year history of a pigmented (brown) spot on her left jaw line. 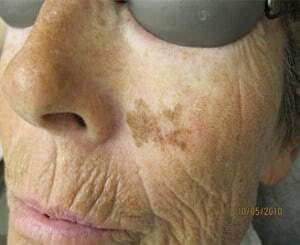 These kinds of brown spots on the face are very common and are the result of UV exposure over many years. 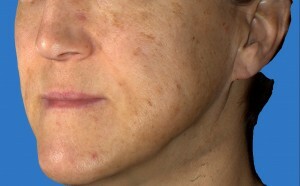 Using a pigment-specific laser this lesion was treated in one session with follow-up a few weeks later showing complete resolution. 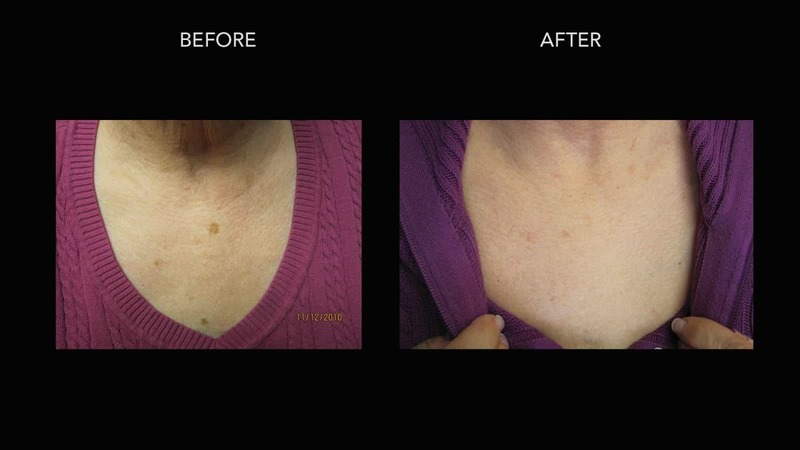 This is a 57 year old female patient with a strong history of sun exposure on her upper chest and changes related to UV exposure. 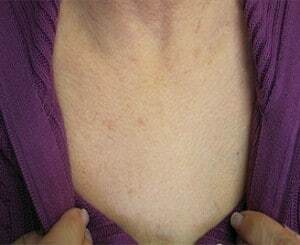 Among these changes was a larged dark brown spot that had been there for a few years and was a cosmetic nuisance. 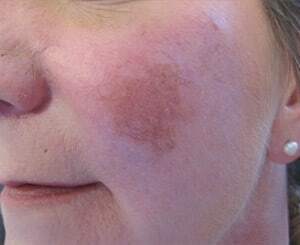 She was unable to cover it up and over-the-counter creams had no effect on it. 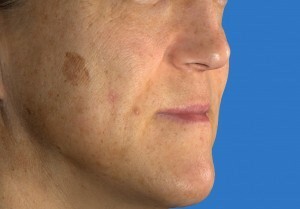 This kind of a lesion was easily and quickly treated with one of our many pigment-specific lasers. 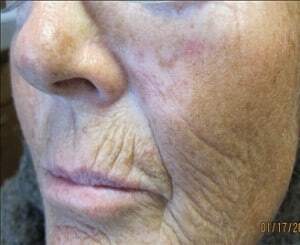 Follow-up of the treated area showed dramatic improvements and the patient was very satisfied.